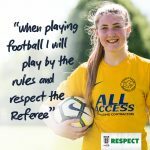 To kick-off the 2018-2019 youth football season, The Football Association has announced a renewed focus on the Respect programme as it enters its ten-year anniversary. 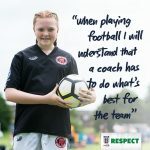 Originally launched in the 2008-2009 season, the campaign’s new mantra of ‘We Only Do Positive’ aims to improve behaviour on touchlines across the country by raising awareness of Respect among a new generation of parents, coaches, volunteers and players. The campaign follows extensive research carried out during the 2017-2018 season to understand more clearly the effect of negative behaviour at football matches from Under 7’s to Under 18’s level, focusing on where Respect interventions would be most effective. ‘We Only Do Positive’ is The FA’s new strategic approach is to emphasise the role of parents and coaches while highlighting the importance of positive behaviour and environments – both on and off the pitch – for young footballers involved in mini-soccer and youth football. 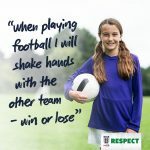 The FA’s Respect programme aims to educate parents and coaches on their roles in creating a fun, safe and inclusive environment for players to ensure the campaign is embraced throughout the age groups and result in sustained participation from players and volunteers alike. Creating the right environment for players, both on and off the pitch is so important. Even though your role could be slightly different from someone else within your club, it’s important that we all play our part in creating a fun, safe and inclusive environment for all SCWGL registered players. 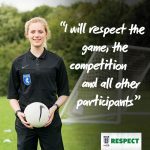 The FA Respect codes of conduct are in place to ensure that everyone involved within an FA Charter Standard club is playing their part to give the players a positive experience. Please help the FA & SCWGL to create a more positive environment for all to enjoy by downloading and promoting all of these resources. 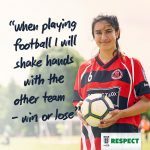 You can find out more about the Football Foundation Respect Scheme, including their on-pitch and off-pitch Respect packs, here.